​East Cottage and West Cottage are interlinked and can be opened up to form one large cottage - Park Farm Cottages - sleeping up to a maximum of 12 guests (with the use of 2 extra fold up beds - £20 each) in 5 bedrooms. Bedrooms can be made up as doubles or twins. 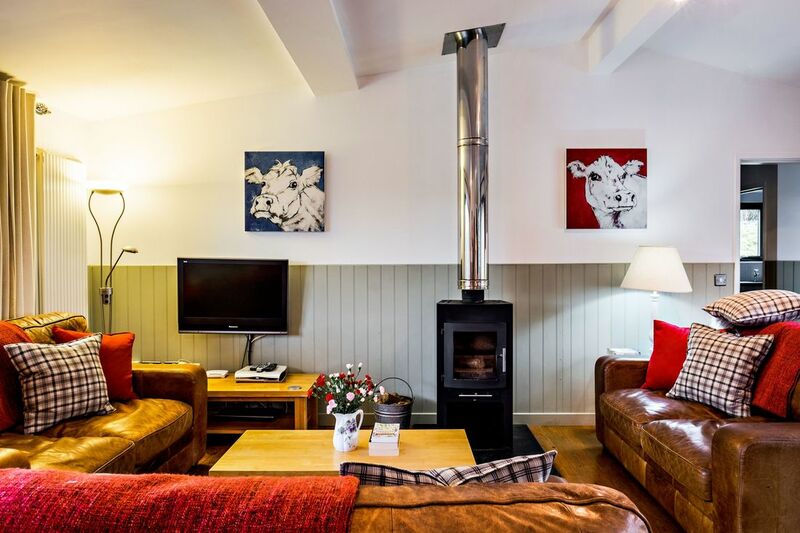 The cottages are fully equipped with their own microwave, dishwashers, fridge, freezer, Freesat TV, DVD player and wireless internet connection. All bed linen, towels, electricity and heating are included. Hot water and central heating are powered by a Wood chip boiler and there is a log burner in each living area.